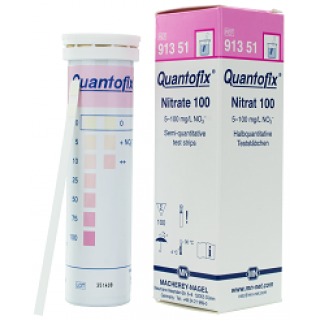 Quantofix Nitrate - Water Analysis Test Strips The Quantofix Nitrate 100 test is a highly sensitive version of Quantofix Nitrate / Nitrite. 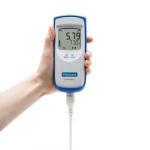 It allows to detect nitrate down to 5 mg/l . 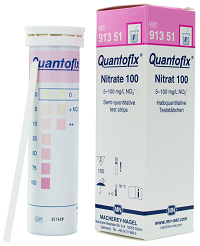 The warning pad for nitrite detects concentrations down to 0.5 mg/l . This test is especially useful for dairy industry where low levels of nitrate need to be monitored.